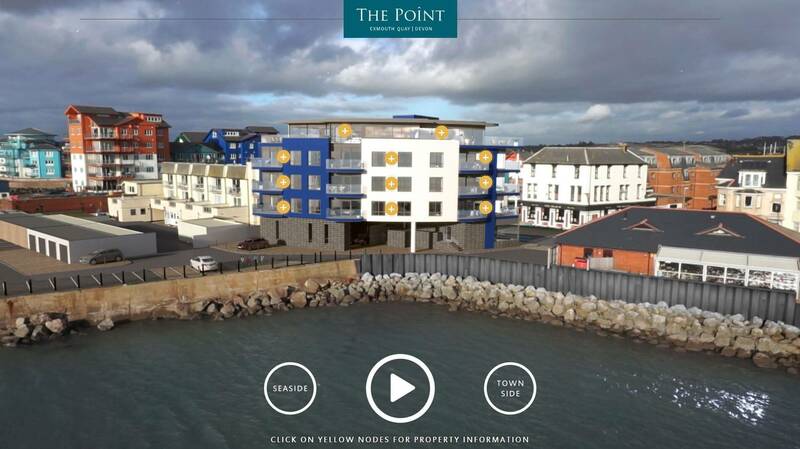 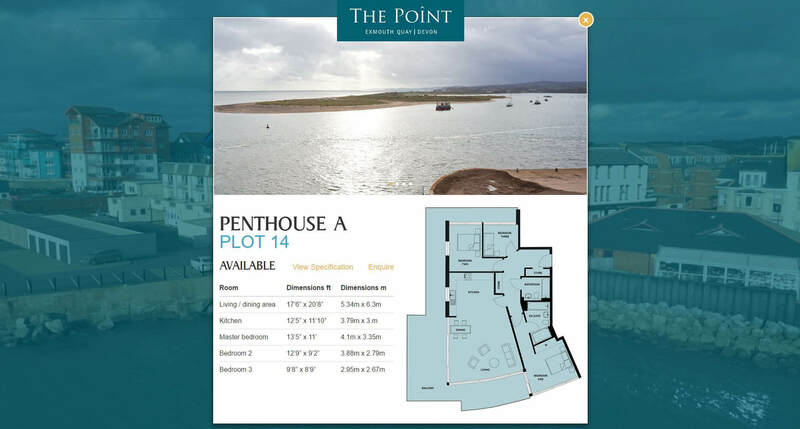 Eagle Hills approached Sanders Studios to create the CGI and Interactive content for their striking coastal development ‘The Point’. 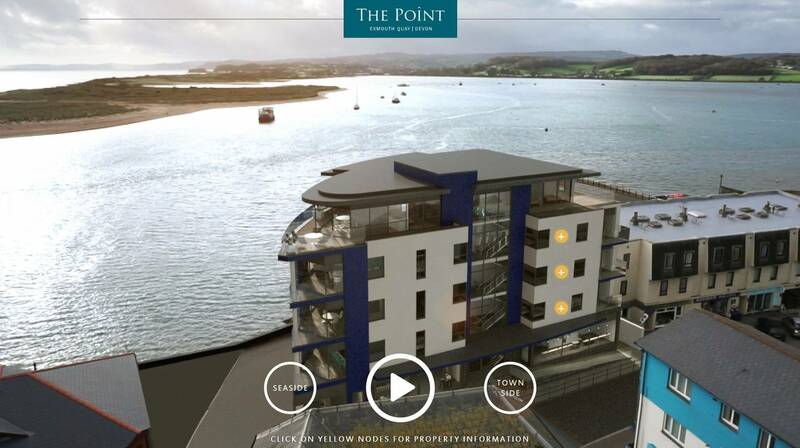 The vibrant landmark development on the Exe Estuary provides exclusive waterside living perched on the edge of the thriving cathedral city of Exeter. 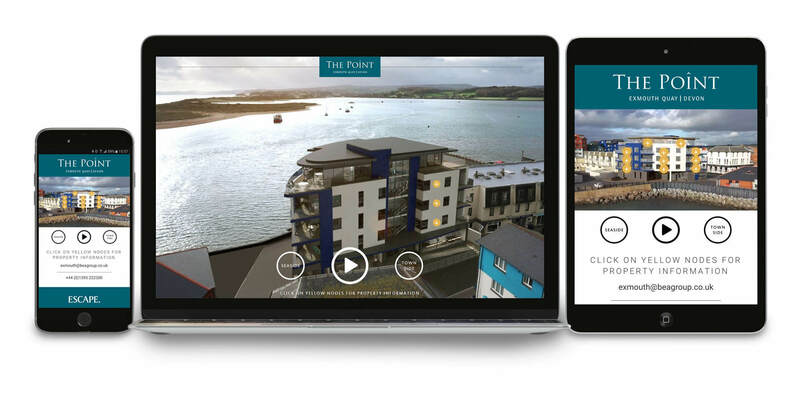 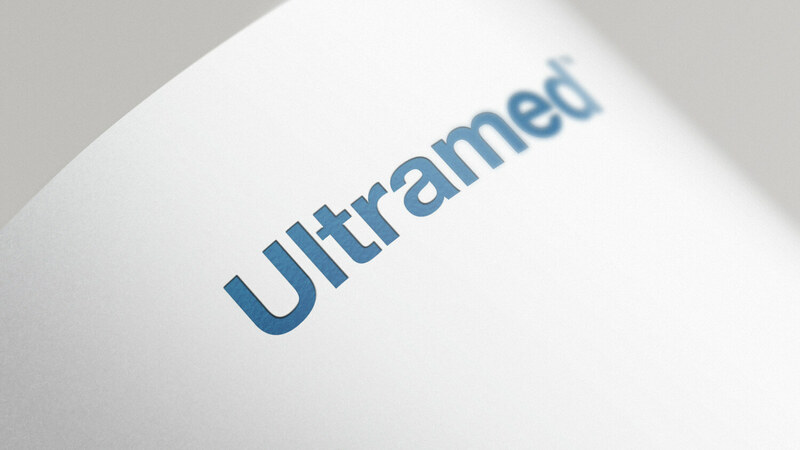 To created the interactive video content, we captured 360 drone footage in which we matched the CGI. 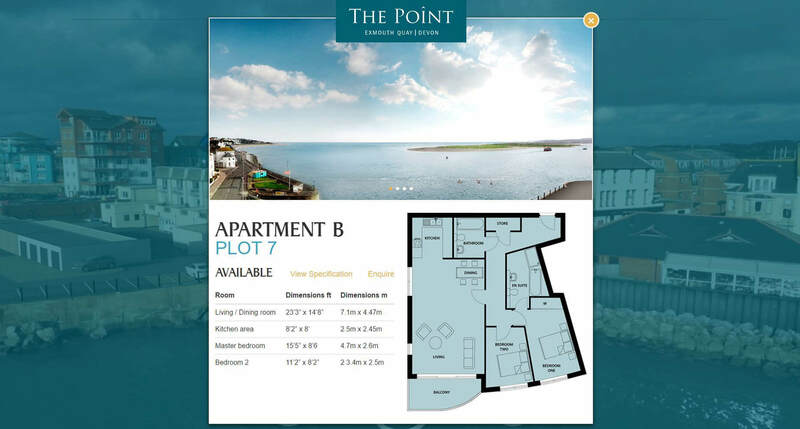 Specifically placed node points can then be clicked to display respective apartment information in a pop-up box.